Fortnite Season 5 has officially begun with the 5.0 update, also labeled as version 1.67 on PS4. The 4GB download offers tons of new content to explore, so let’s get right to the patch notes. Highlights include a new vehicle called the ATK, a feature called Rifts and brand-new map locations. Heavy Shotgun now fires 10 pellets rather than five. Damage reduced to 80 percent at 35 meters from 85 percent at 47.5 meters. Damage reduced to 65 percent at 50+ meters from 75 percent at 70+ meters. The center of Storm circles seven, eight and nine can now shift in random directions (instead of simply shrinking). As the storm closes in, it will move & shrink to the new location. Weekly challenges are now split into two sections, free and Battle Pass. The first three challenges will be available for free while the last four are only available if you own the Battle Pass. The threshold to unlock the weekly challenge reward will remain at four. The “Dialogue Audio”, “Global Chat” and “Auto Equip Better Weapons” options have been removed as they have no function in Battle Royale. The “Play Again” button will now allow players to preview pickaxe visual and sound effects in the Item Shop, Battle Pass and Locker. Starting July 17, Save the World will be on sale on Xbox, PS4 and PC for a limited time. Super Deluxe and Limited Founders packs will return for the duration of the sale. Reduced the total number of Challenge the Horde missions available on the map from 16 to nine. Set the total number of challenges to five for every Horde mission. Previously, the number of challenges varied from as low as three, to as high as eight. Reduced the number of waves per Horde challenge from 10 to eight. Reduced the maximum time of a wave from six minutes to four minutes. FIRE-UP, AMP-UP, FROST-UP: Increased by 100 percent. RE-PERK: Increased by 50 percent. PERK-UP: Increased by 30-33 percent. Base heal increased from three to five. Increased damage multiplier from 30 percent to 45 percent. Reduced ranged attack speed multiplier from 40 percent to 30 percent. Increased melee attack speed multiplier from 16 percent to 20 percent. Fight or Flight now adds a 10 percent movement speed buff. Increased radius multiplier from 38 percent to 50 percent. Increased slow from 30 percent to 50 percent. Increased duration extension from two to five seconds. Increased movement speed bonus from 30 percent to 50 percent. Increased base projectile speed by 70 percent. Now ticks every second to match other affliction sources, and adjusted damage accordingly. Decreased cooldown from 15 to eight seconds. Increased charges from two to three. Now adds 30 percent movespeed for three seconds. Increase quantity of additional charges from one to two. Adjusted cooldown reduction from five to three to correspond to new base cooldown. Adjusted duration from four to two to correspond to the new base cooldown. Now increases the bonus movespeed from Phase Shift to 50 percent. Increased bonus range from two tile to four tiles. Increased base damage from nine to 12. Lowered stun duration from one to .75 seconds. Lowered duration from six to three seconds. Increased impact bonus from 133 percent to 160 percent. Adjusted duration increase from two to one second to correlate to new duration. Increased Damage Over Time damage percentage to 110 percent from 50 percent. Decreased Damage Over Time duration from six to three seconds. Increased width by 100 percent. Adjusted the cooldown reduction from 13 to five to correspond to the new base cooldown. Moved from a three-star perk to a two-star perk. Adjusted the percent damage increase from a max 200 percent to a max 150 percent to correspond to the new base damage. Adjusted the percent damage increase from 500 percent to 150 percent to correspond to the new base damage. The previous tooltip implied that the damage was increased BY 500 percent rather than TO 500 percent. The new tooltip continues to use “increased by”, however, this value is now correct in that it increases the base damage by 150 percent (250 percent of base damage). Increased shield collision width by 43 percent. Increased hardware damage from 45 percent to 55 percent. New Functionality added: At the end of Bull Rush, movement speed is increased by 30 percent for 10 seconds. New Functionality added: While charging, the constructor will take 60 percent less damage. Decreased lifespan from 10 seconds to six seconds. Increased shield regen from 15 percent to 20 percent of shield. Increased health regen from two percent to four percent of maximum health. Increased Slow from 30 percent to 40 percent. Locked and Reloaded: After reloading, rate of fire is increased by 25 percent for five seconds. Padlocked and Reloaded: Increases the rate of fire from Locked and Reloaded to 50 percent. Endless Smoke: Increases the radius of Smoke Bomb by 45 percent. Supercharged Plasma: Increases the damage radius of Plasma Pulse's mini balls by 60 percent. Malfunction: Plasma Pulse now spawns eight plasma balls that deal 550 percent more damage. The plasma balls will be spawned all at once and explode after 10 seconds if not triggered. Look What I Found: Start missions with three Charge Fragments. Load Bearing: T.E.D.D.Y.’s damage is increased by 50 percent if placed with a Fragment. Double Down: 50 percent chance to find an additional Charge Fragment when collecting a Fragment. Reduced Hover Turret base rate of fire from six per second to four per second, and the upgraded rate of fire from 10/s to six per second. Increased the effectiveness of Energy Damage against Elemental Husks from 67 percent to 75 percent. Fixed explosion radius for all tiers of proximity mine, these are now set correctly to 1 tile, 1.25 tiles and 1.5 tiles. Adjusted HDR Intensity of the Neon Weapons down 20 percent to keep bloom problems from occurring in certain levels. As expected, Fortnite Season 5 offers players of both Battle Royale and Save the World tons of new stuff to experience and accomplish. 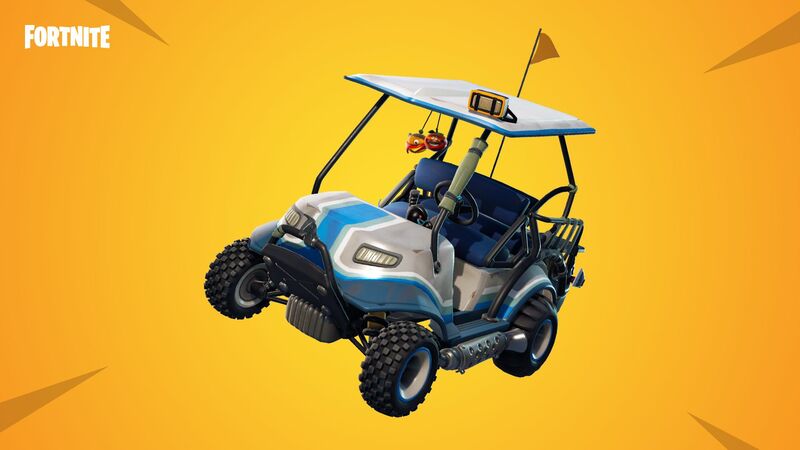 Having tested vehicle systems with the Shopping Cart over the past few weeks, it will be interesting to see how the ATK changes the meta in the new desert biomes on the map. For Save the World, the biggest additions come with regard to Heroes. With new Wild West characters and additional subclasses to try, this rejuvenated version of Challenge the Horde will feel brand-new to those who didn’t have the chance to experience it before. 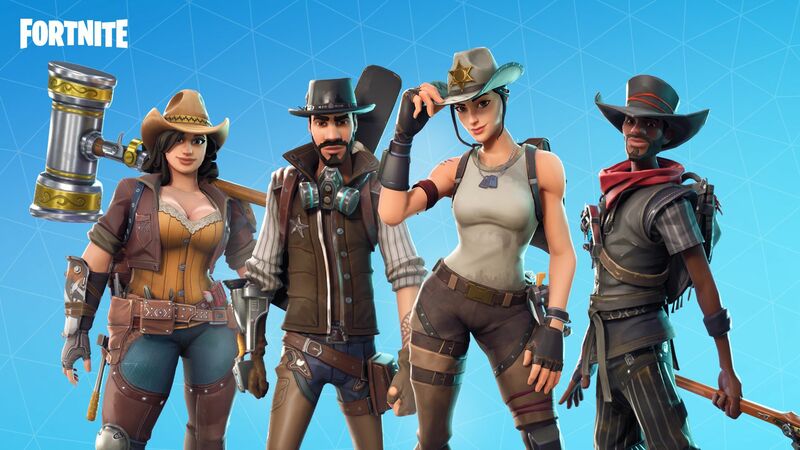 Fortnite Season 5 has just kicked off, but we’ll be posting content throughout the rest of the week to get you acquainted with all the new features, skins and challenges. Fortnite is available now on PS4, Xbox One, Switch, PC and iOS. The 5.0 update is deploying across all platforms. 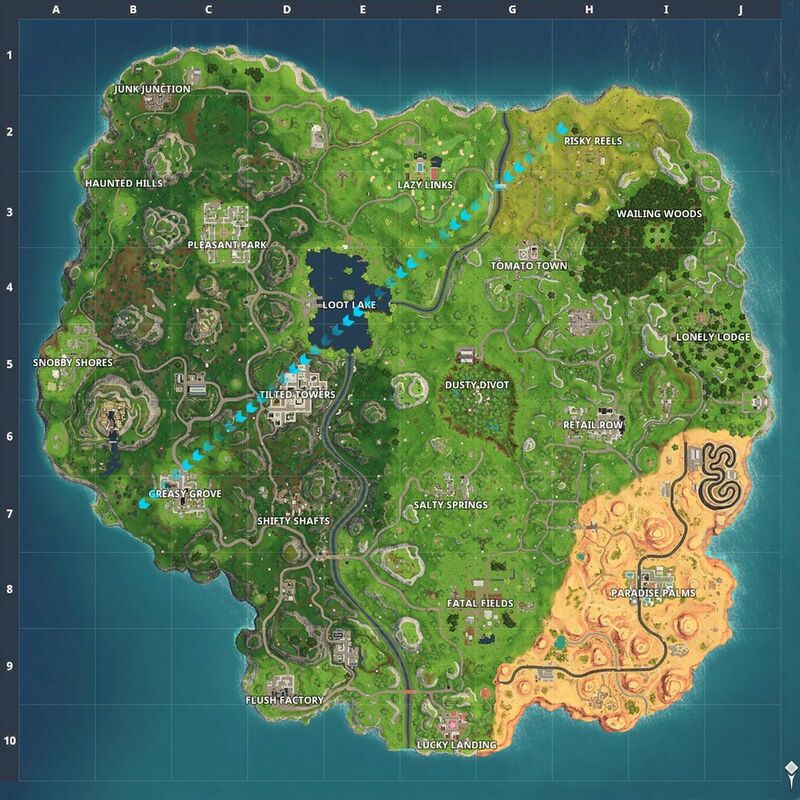 What’s your take on Fortnite Season 5 after reading these patch notes? Are you excited about the new theme? Tell us in the comments section!